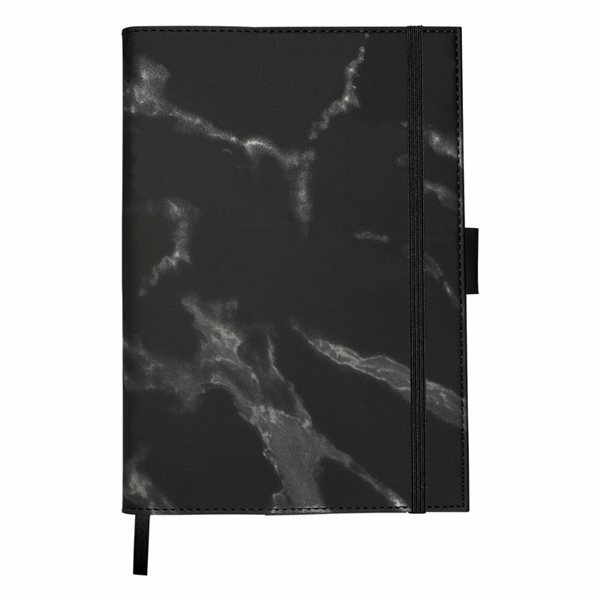 Refillable journal soft faux Leather cover with marble finish, pen loop and elastic loop closure. Includes approx. 80 lined sheets of 80g cream paper. Features pen slot (pen sold separately) . 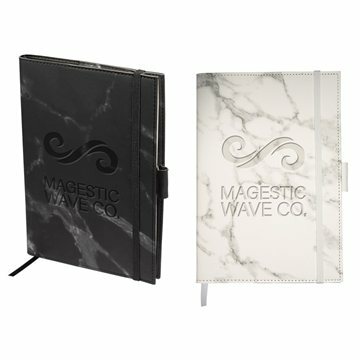 Inner paper notebook can be replaced by those found in your local office supply store (approx. 5.8"w x 8.3"h).